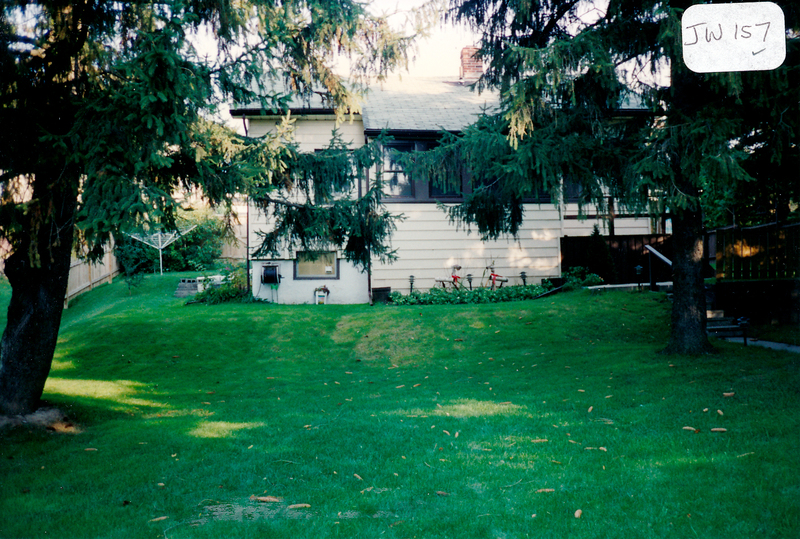 This bungalow located at 157 John St. West originally had a woodshed on the east side. It was once owned by Bill Semenuk, until he and his family moved to Barrie. He was considered to be a good electrical, radio, and watch repairman. The house was also owned by Harold Iceton, who purchased it after his time serving in the military during WWII. Harold Iceton spent five years in various hospitals, including Sunnybrook where he contributed to the hospital paper, which helped fund the purchase of the home. Joe Leblanc completed most of the renovations after this purchase. Additionally, it is notable that the house was the main building of the Kirkpatrick estate, that encompassed the area west to Toronto street.